Just like in human patients, animals can benefit tremendously from rehabilitation services. 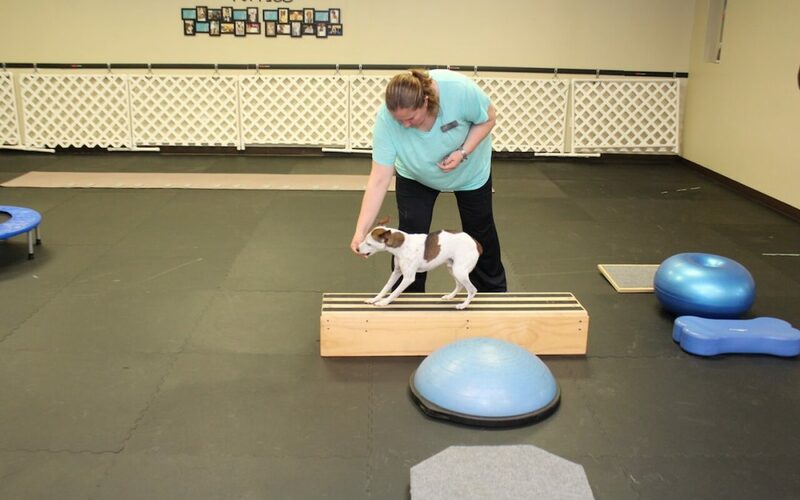 Rehabilitation therapy can greatly help with post surgical healing, injury prevention and strengthening athletic and companion animals. It can be used to help prevent future tendon and ligament injuries, and benefit overall physical health. In addition it can greatly improve the quality of life for older or arthritic patients with degenerate conditions. Studies have shown that the use of rehabilitative therapy not only improves the patient’s recovery time and quality of life but also benefits the patient owner bond as the owner is helping in the patient’s recovery and strengthening.